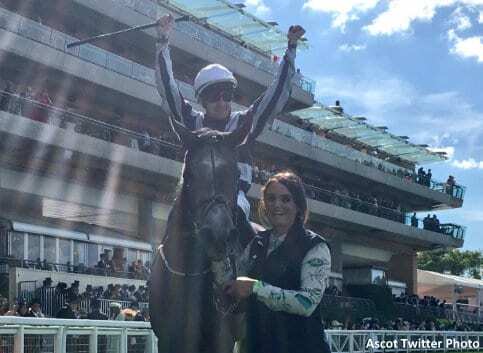 Alpha Centauri set a course record at Royal Ascot when she captured the Group 1 Coronation Stakes, and in so doing may have earned a trip to the Breeders' Cup Mile this fall at Churchill Downs. According to attheraces.com, trainer Jessica Harrington has set a tentative schedule for the remainder of the filly's 3-year-old season. Probable starts for Alpha Centauri include the Falmouth Stakes at Newmarket, Prix Jacques le Marois at Deauville, the Matron Stakes at Leopardstown and the Irish Champion Stakes. This entry was posted in Breeders' Cup, NL Article and tagged alpha centauri, Breeders' Cup, breeders' cup mile, churchill downs, jessica harrington, Royal Ascot by Paulick Report Staff. Bookmark the permalink.